Autumn is just the best season. 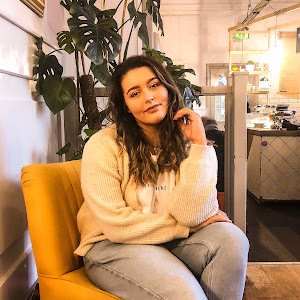 Everything becomes so much better at this time of year - the fashion/colours are gorgeous, the nights are darker, Christmas is on its way and it's slightly acceptable to wear all my cosy, childish pyjamas from 4pm onwards! 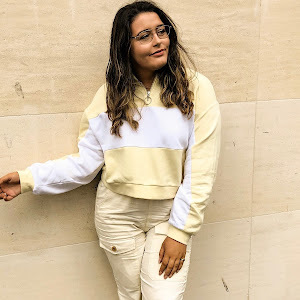 Another thing that has got me hyped up this Autumn are the accessories...let's take a look at a few of my fave pieces from Miss Milly. 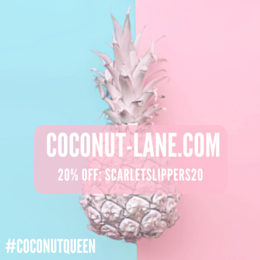 Autumn leaves are one of the most common reasons for loving this time of year - I mean, who doesn't love hearing the sound of them crunch beneath your feet? Not the mention the array of mustards, oranges and reds as you walk through forests. 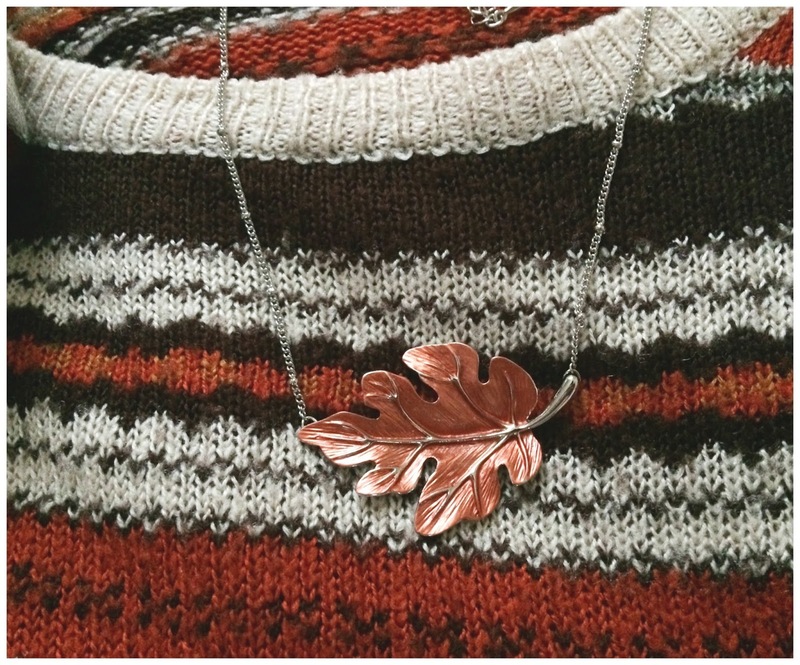 To highlight the beauty of the season, I chose this orange, metallic leaf necklace to wear with each of my beloved knitted jumpers. 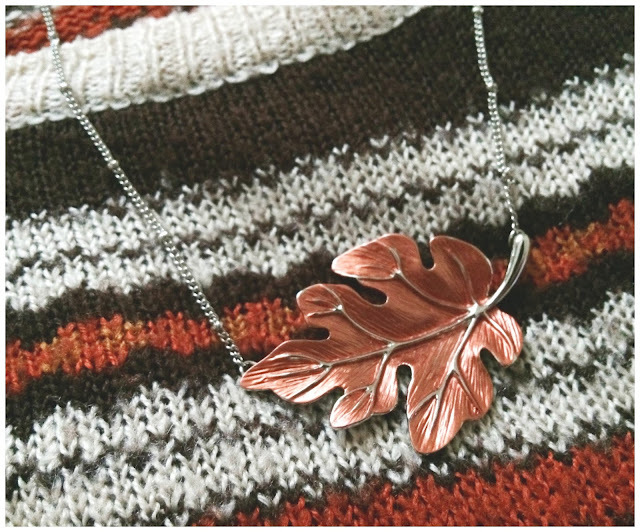 The elaborately designed,silver-coated veins complement the leaf's warm tone, making the necklace look expensive and unique. 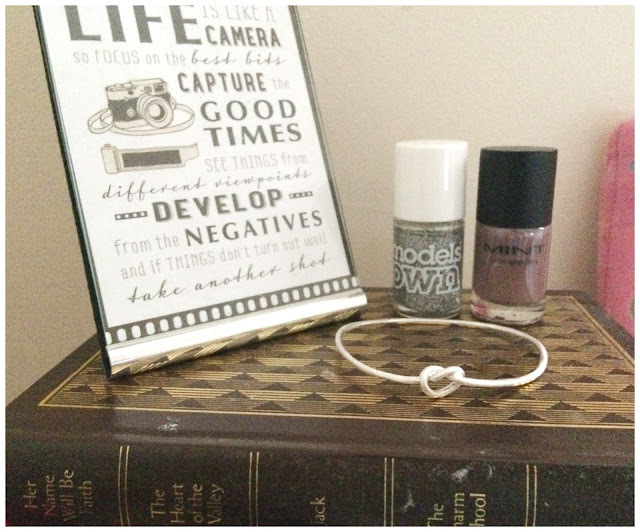 This has been my staple necklace throughout October and I couldn't recommend adding it to your collection enough! This isn't specifically Fall-based, but I thought it was super cute must-have jewellery piece. 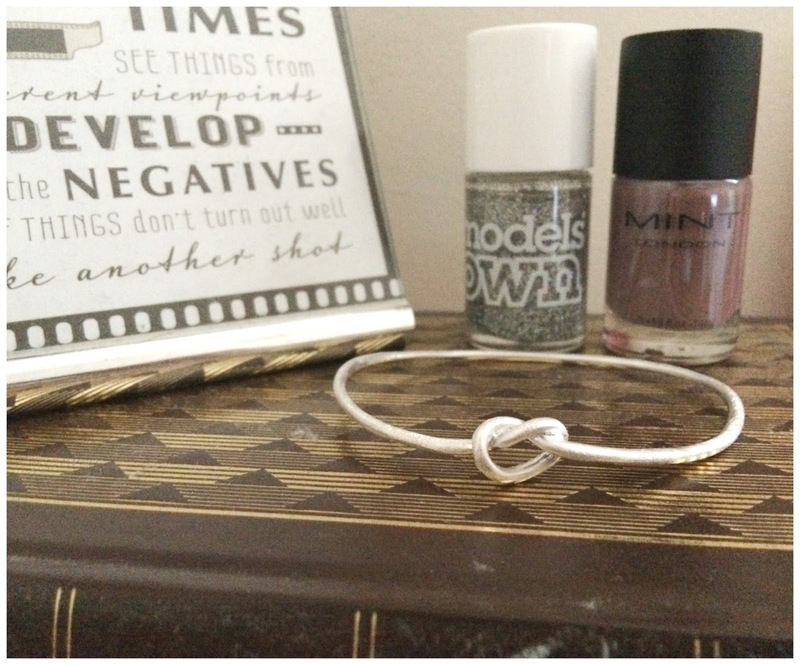 The love knot bangle is simple, beautiful and a perfect gift for a loved one; it is relatively sturdy and small in wrist size (I struggled slightly to fit it over my hands but is comfortable on the wrist). A great alternative to the pricey Tiffany&Co love knot bangles! Finally, we have this stunning Purple Resin Ring, new to Miss Milly's online store. If you've been reading for a while, you will know my evergrowing love for large statements rings. 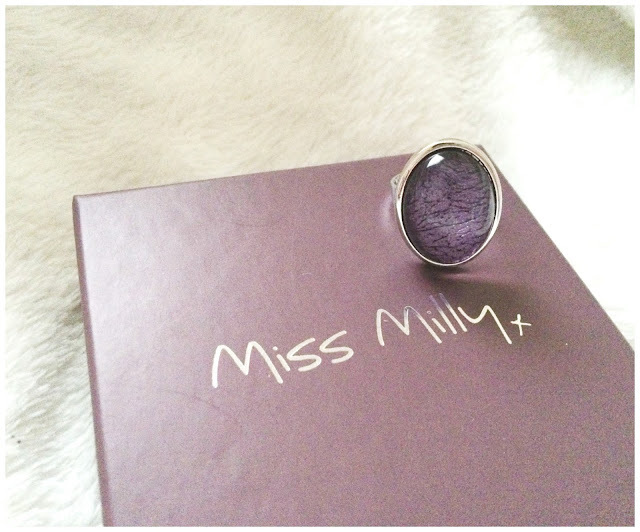 This deep purple sparkling edition to my collection is fab for everyday autumnal wear - the ring is easily adjustable and can resized to fit any finger (I always wear mine on my ring or index finger!) Adjustable rings are a huge pro, making them universal for each and every one of you. 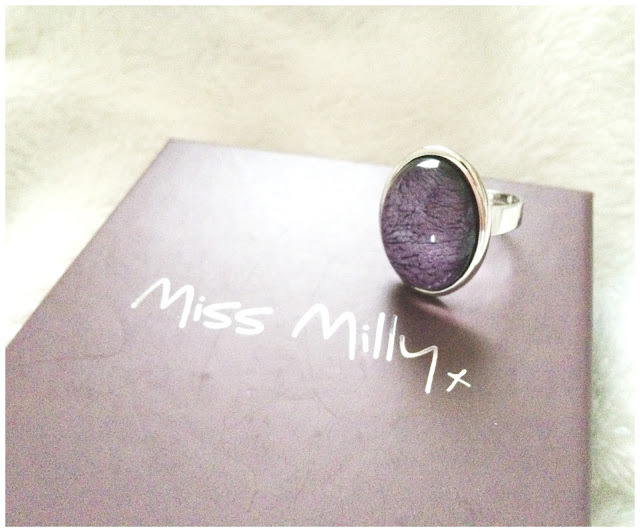 Thank you to Miss Milly for collaborating with me and sending me these gorgeous products. All opinions are my own, despite not purchasing them. I am always honest in my reviews! What are your statement jewellery pieces this Autumn? !